SOB X RBE has been on something of a roll as of late. After landing a prized appearance on the chart-topping Black Panther soundtrack and following up that momentum with their Gangin album, the crew headed out on the road with fellow rising star Cuban Doll. 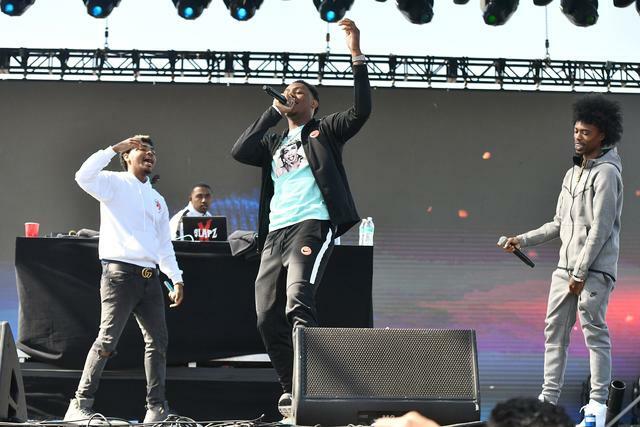 Now that the latest trek has come to a close, SOB X RBE partnered with TIDAL Rising to release an exclusive docuseries surrounding their time on the road. The new series GANGIN features exclusive behind-the-scenes footage and gives a candid look at the group’s journey. This latest docuseries arrives as just the latest in a slew of efforts from TIDAL to support emerging talent across various genres through the curation of exclusive content and premieres crafted with fans in mind. This also adds on as the newest installation of TIDAL’s Rising series. Previous talent featured in the series include GoldLink, 21 Savage, and A boogie wit Da Hoodie. Catch the first episode of SOB X RBE’s “GANGIN” docuseries down below.